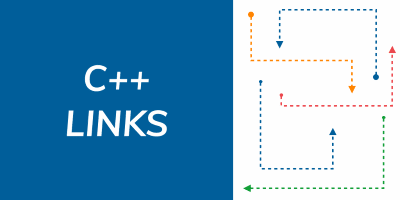 Welcome to new C++ Links - most important and useful articles, podcasts and videos that happen between 15th and 21st of September. Today you will find a link to post about “same but different” objects in C++, a video showing what code compiler generates when you write a lambda, article about why you should always capture exception by const reference and many others. 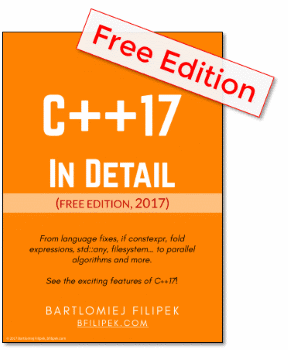 Bartłomiej Filipek wrote a review of a really interesting book - Professional C++ 4th Edition by Marc Gregoire. The overall note is 4.5/5 - definitely worth reading. If you are looking for a way to get book free - you will find details in the post. Newest post from Herb Sutter - he describes new paper about profiling lifetime of the objects, a potential solution for dangling pointers and leaks! What’s your favourite link for this week? Maybe we missed something relevant?